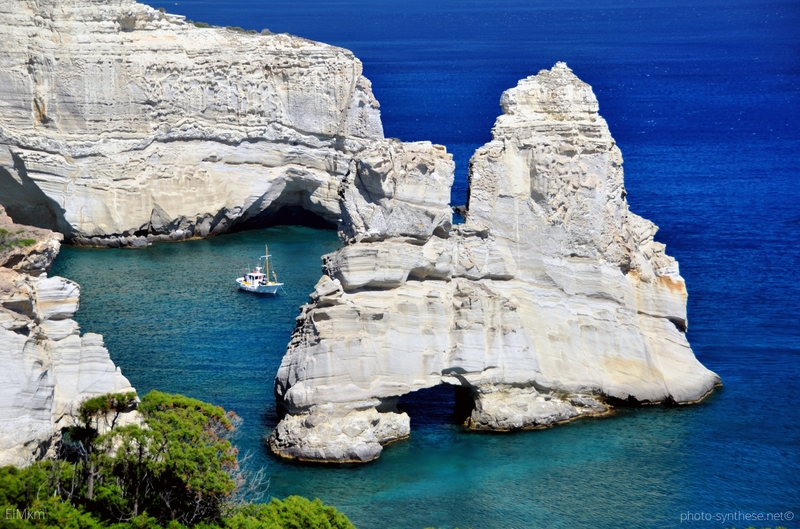 In the southwest corner of Milos you will find Kleftiko, a cluster of impressive volcanic white rocks in the turquoise waters of the Aegean. 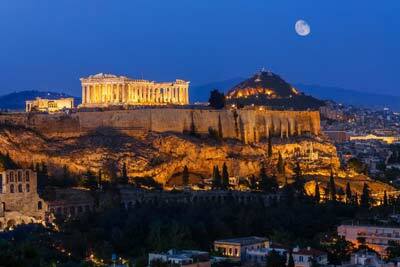 It is also known as “Meteora of the sea”. 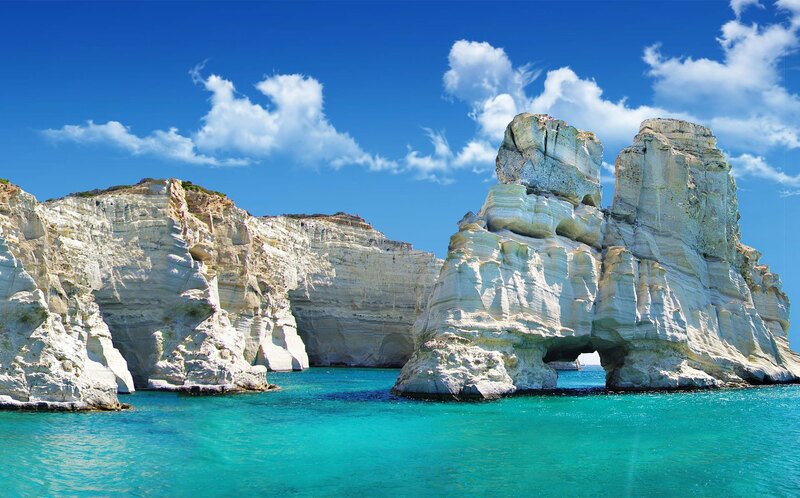 Kleftiko is a complex of impressive volcanic white rocks, created by the waves of the sea and the air, in the turquoise waters of the Aegean Sea. 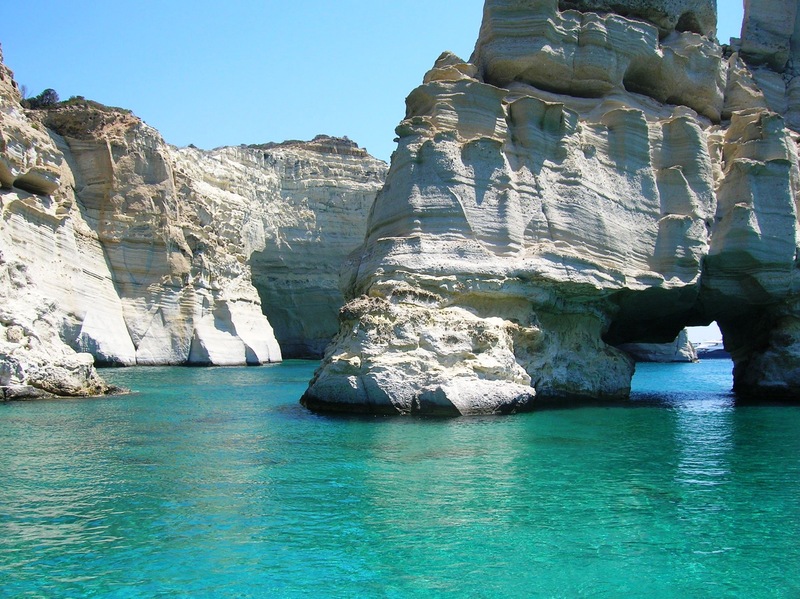 Its photographs adorn the most tourist guides that advertise Greece and have become the trademark of Milos. 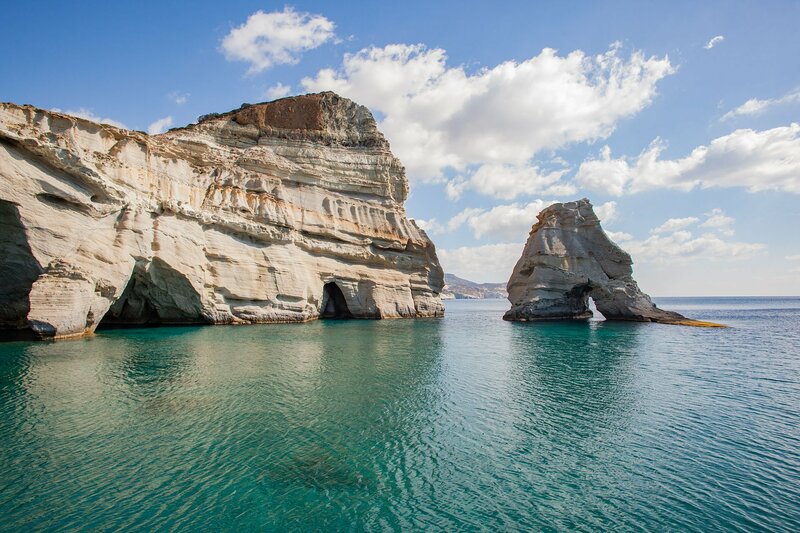 At Kleftiko you’ll admire some gigantic gray-rock formations emerging from the waters, some of which end up in sandy beaches, others creating sheltered coves, inlets and caves where sailors usually love to anchor their boats and take a dive in the clear waters. The name was derived from the pirates, as this part was used both as a shelter and as a base, since the small creeks protected the ships and the pirates from the strong winds of the Aegean. The magic of the landscape completes the legend of the hidden pirates’ treasure, in a cave near the beach. Bright white rocks fall into the sea, creating three consecutive bays, while some of them are cut off from the land and rest on the blue waters forming caves and pits. 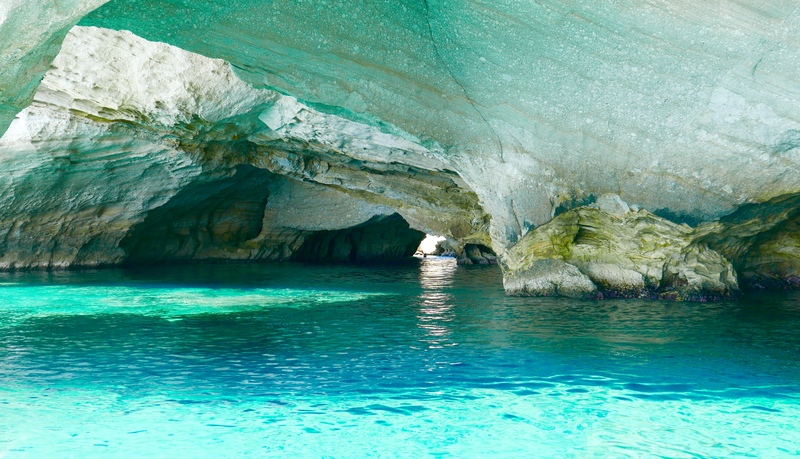 The clarity of the water, the caves offered for safe passage, the small beach and the underwater life make up one of the most beautiful wonders of nature all over the Mediterranean. Access is only by sea and there is no organization at the beach. 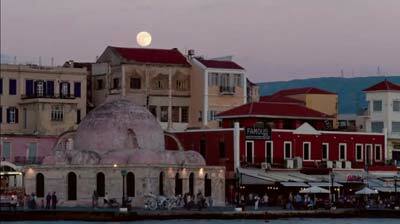 Daily excursions are commenced from Adamas and from the Garden to Kleftiko. 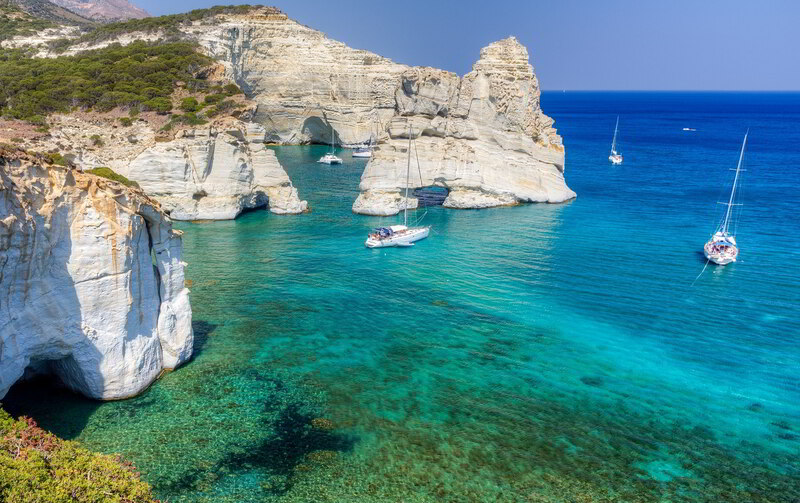 There are also organized excursions a few hours, starting from the south side of the island, to take you to Kleftiko and a few more beaches, while some take daily excursions where they make the whole round of the island and visit the neighboring Kimolos, Lunch. In the excursion boats you will be given masks and flippers, and there is also the possibility of underwater photography, the photos from which you will be given in electronic form after your excursion. 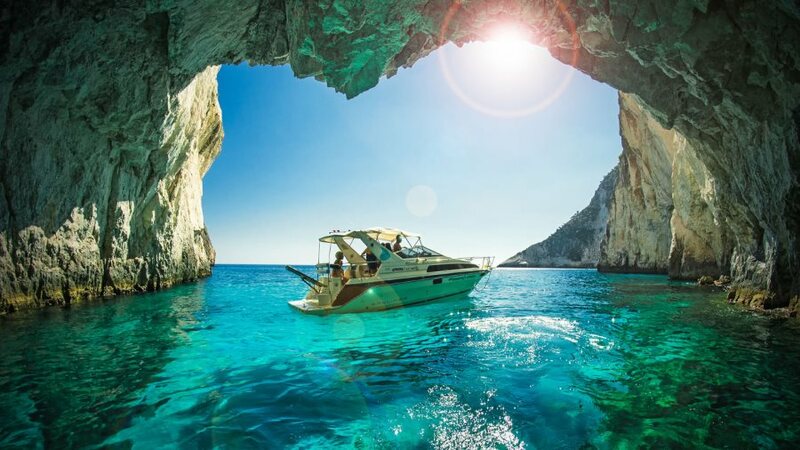 Another way is to rent a sailboat and visit Kleftiko with your quiet to make endless dives. For lovers of hiking, there is also the difficult way of land access being extremely difficult because in order to reach and get off at Kleftiko you will definitely need a local guide.